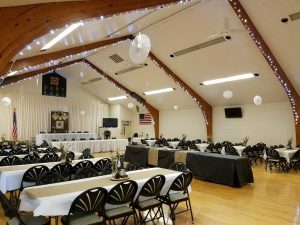 The VFW has two floors that can be rented for weddings, birthdays, anniversaries, graduations, Quinceañeras, etc. The upstairs hall has a stage at one end in front of the window as shown in the photos, and a bar at the other end. The downstairs hall is great for rehearsal dinners, larger baby showers, wedding showers, and kids birthday parties. There is a bartender and bar available in this room for additional charge. This is where several organizations have large dinner meetings, and our once-a-month breakfast. 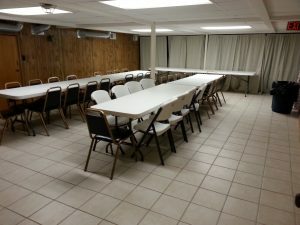 Breakfast is held here on the 4th Sunday of the month September-April. A kitchen is available with this room for an additional charge. 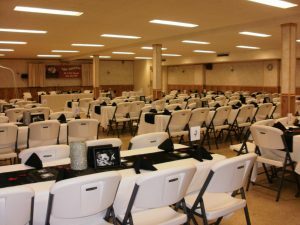 The upstairs hall can accommodate up to 200 guests, and the downstairs hall can accommodate up to 150 guests. You can download a copy of the Hall Rental Agreement and then call to schedule a time to meet about the arrangements. We also offer catering services. Click to see our Banquet Menu . Other items can be made, as well as specialized meals. 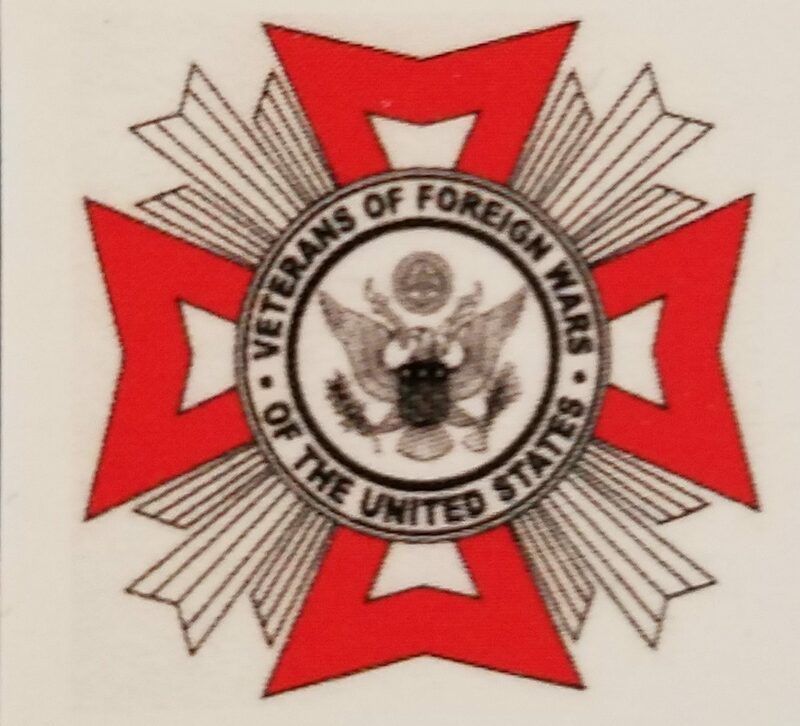 The VFW also has a smaller room with a capacity of 49 people that can be rented for smaller showers or birthdays or business meetings. 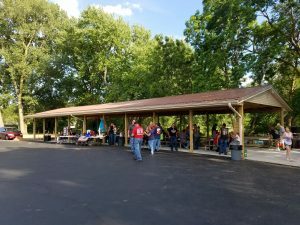 The VFW also has an outdoor 2,250 (25′ x 90′) square foot pavilion that can be rented during warm weather months. Tables, chairs, and some bar service available. You can download the Elks Room Pavilion Rental Agreement . If you have an upcoming event, please call the club and ask for Sheila or email to see if your date is available.